Hiya guys! It's the day we have all been waiting for and my wallet is beyond dead at this point. By the time this post goes live Polish Pick Up is well under way. Don't worry though, there is plenty of time to place your order or add to your order. Flat rate shipping throughout the event and orders are combined. So needless to say I have time to enable you into adding to your cart. Today I'm sharing swatches for Poetry Cowgirl Nail Polish February contribution to the Polish Pickup Collaboration. I must warn you... If you're into glitter (who isn't?!) then this shade will leave you shook! I'll let the photos do the talking, let's get to the swatches! It's All Sugar by Poetry Cowgirl Nail Polish will be available for purchase through the Polish Pickup Shop Friday, February 2nd at 11AM EST through February 5th. This full-size 15mL shade will retail for $11 each and there is a cap this month set to 120 bottles. If you're not familiar with the concept, the Polish Pickup offers a fun, interactive experience that allows you to submit theme ideas, vote for your favorite theme, and selectively purchase your favorite polishes every month. As I mentioned before, the theme that was voted for February is Sugar Rush. 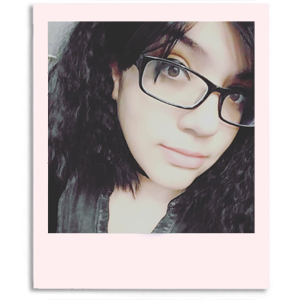 This month Kristen found her inspiration from a throwback to the 90s candy called Raven's Revenge. It's All Sugar can be described as micro glitter packed with all kinds of different colored glitters, holo sparkles, and holo pigment. Doesn't this look insane?! In the best way possible, of course haha. It's like my inner 90s kid has been bottled up and turned into glitter mania! I love everything about this polish - it's so fun and uniquely different. It really stands out among the crowd this month. The formula has a sheer application that builds up for almost full coverage. It can easily be worn as a topper over any base with one coat. That said, the coverage is very impressive on its own. My nail lines are barely visible in person as opposed to my swatches. Consistency wise it's well balanced, not too thick or too thin. Definitely a nice surprise considering how jam-packed it is with glitter. It dries down very textured as expected, but smoothes down pretty well after topcoat. Shown here in three coats and sealed with a glossy topcoat. I had to include a macro of the bottle because it's literally one of the funest glitter bombs in my collection. As I mentioned before this shade can easily be used as a topper as well. I wanted to do a gradient initially, but it's been so long since I've done anything nail art-y that I didn't have any sponges haha. So intended I decided to pair this over a light beige cream to see if it could give it a 'pop' factor - and it totally did! Definitely cannot wait to get back into nail art and pull this polish out to play with. 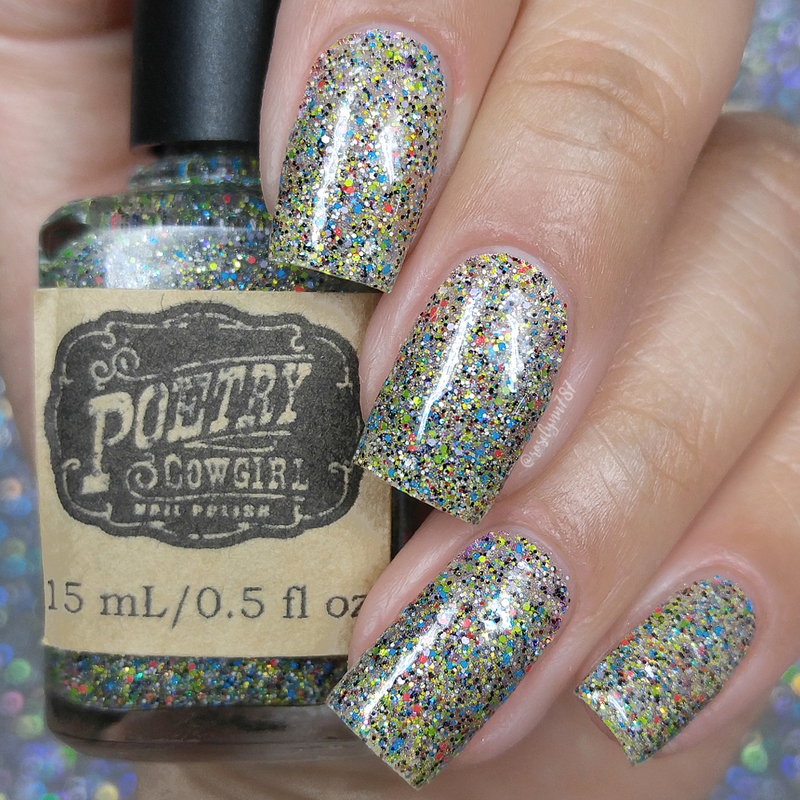 To recap, It's All Sugar by Poetry Cowgirl Nail Polish will be available for purchase through the Polish Pickup Shop Friday, February 2nd at 11AM EST through February 5th. This full-size 15mL shade will retail for $11 each. There is a cap this month set to 120 bottles, so be sure to set those alarms!